SES 14 is a geostationary communications satellite operating in C- and Ku-bands across the Americas and the North Atlantic region, which uses electric propulsion for initial orbit raising and all on-orbit manoeuvres. The new satellite will be built by Airbus Space and Defence, based on the Eurostar E3000EOR bus, is scheduled for launch in Q4 2017 and will operate at 47.5° West, where it will replace SES's satellite NSS-806 and add new capacity. SES-14 will host NASA's Explorer program's GOLD (Global-Scale Observations of the Limb and Disk) payload. The primary purpose of GOLD is to revolutionize the understanding of the space environment by filling the critical gap in knowledge of Sun-Earth connections. The hosted payload will transmit data of the Sun’s impact on the Earth’s thermosphere and ionosphere from Geostationary (GEO) orbit. Both of these layers of the Earth’s upper atmosphere are very sensitive to space weather events and space climate, with potential societal impacts. Uncertainties in the thermosphere are a primary source of uncertainty for operating satellites in low Earth orbit. Fluctuations in the ionosphere interfere with signals from communications and global positioning satellites. The satellite was originally contracted to be launched on a Falcon-9 v1.2 rocket. In August 2017, the launch providers for SES 12 and SES 14 were switched, putting SES 12 on a Ariane-5ECA. The Ariane-5ECA was erroneously launched to an inclination of 20.6° instead of 3° due to an data input error. 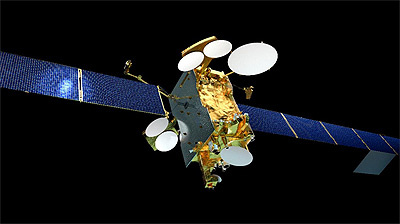 SES-14/GOLD will take about one month longer to reach geostationary orbit. The consequences on the lifetime of SES-14/GOLD are currently not known.